Stock #176267 A Beauty! 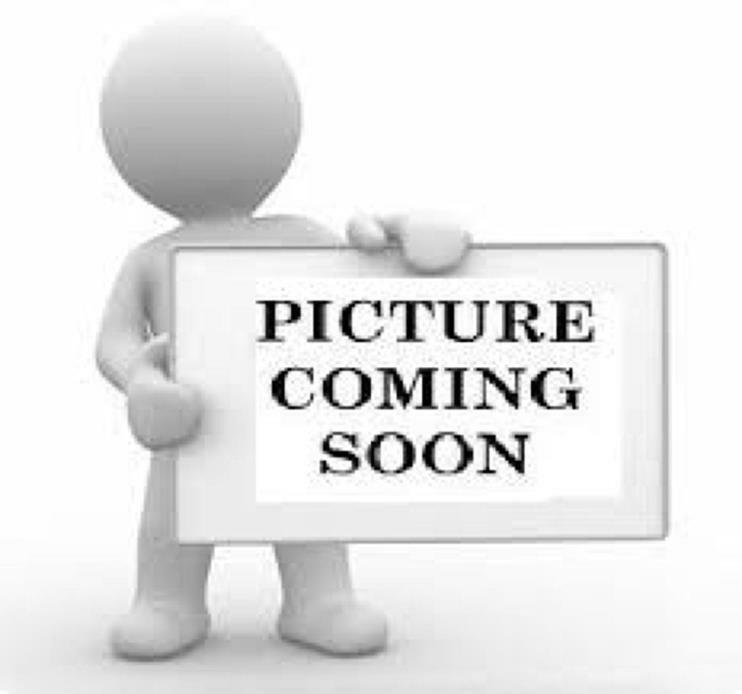 Seller meticulous! 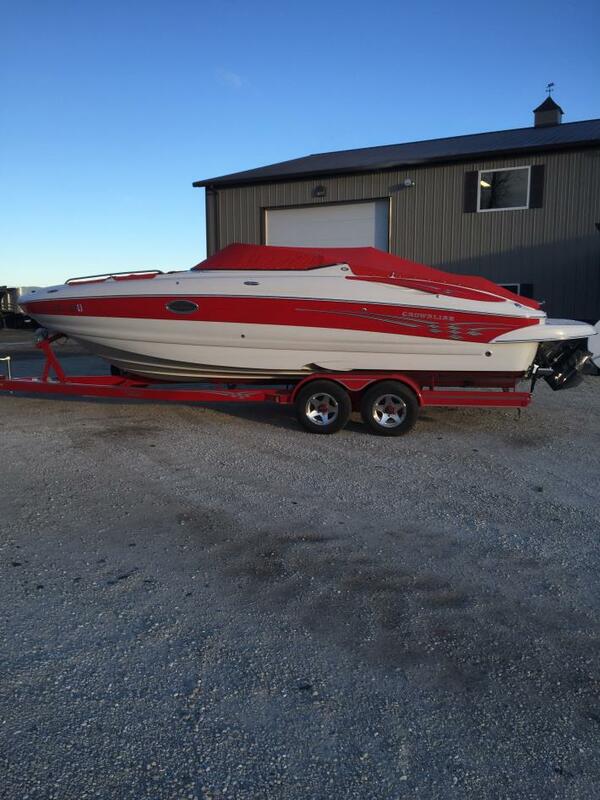 Excellent condition.Ready to GO! 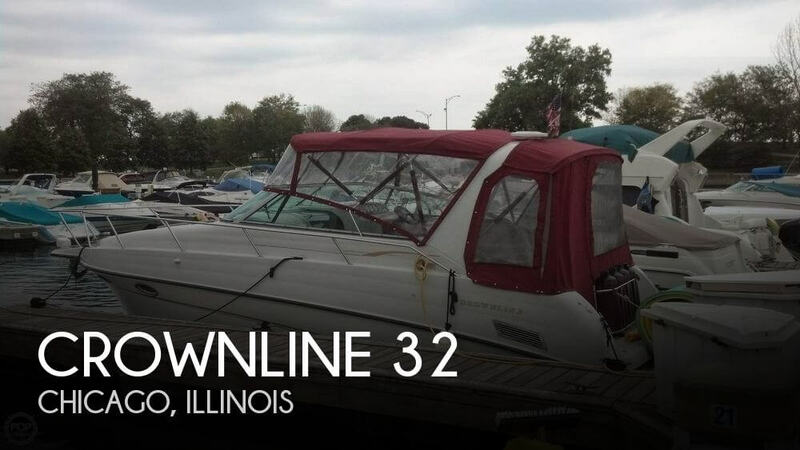 If you are in the market for a bowrider, look no further than this 2005 Crownline 21, priced right at $25,750 (offers encouraged). 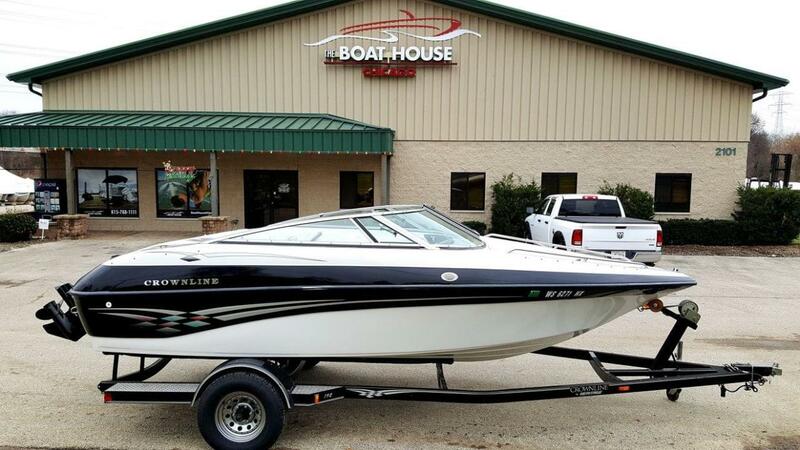 This boat is located in Milan, Illinois. 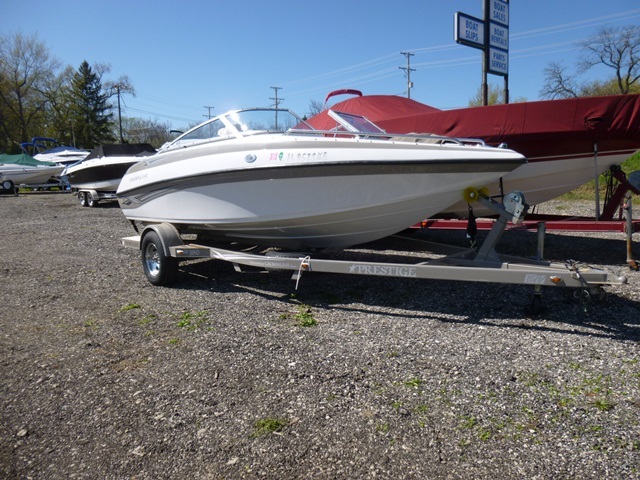 She is also equipped with a Mercruiser engine. 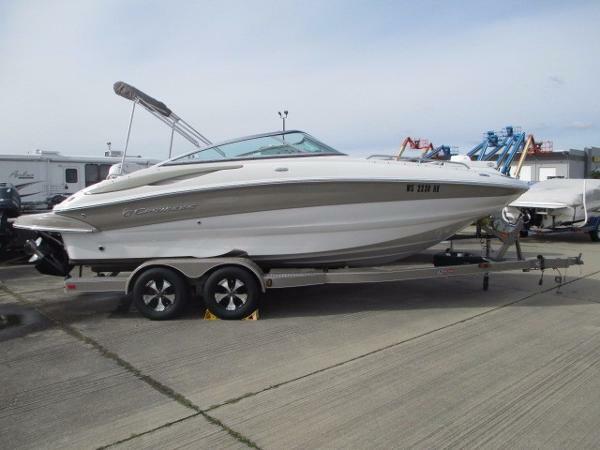 As stated by the owner, the vessel is in very good condition with the cabin area receiving an extended list of work completed. The hull is in very good condition. The deck area is in good condition. Engine's have been regularly maintained and have low hours! Canvas and isenglass are in good condition. Stock #159594 Excellent Condition. Many new, custom options. Meticulously Maintained. 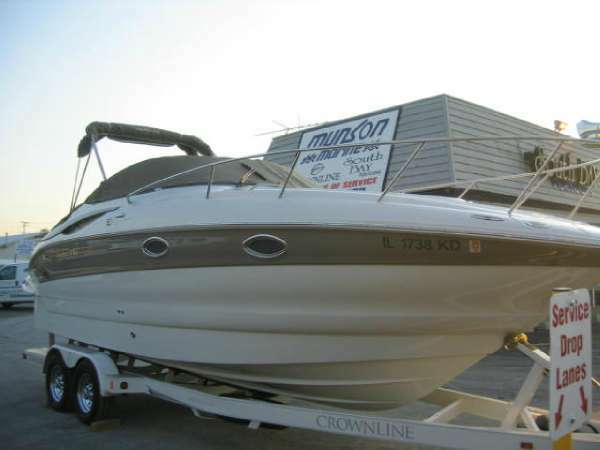 Reason for selling is owner is purchasing a newer model!. 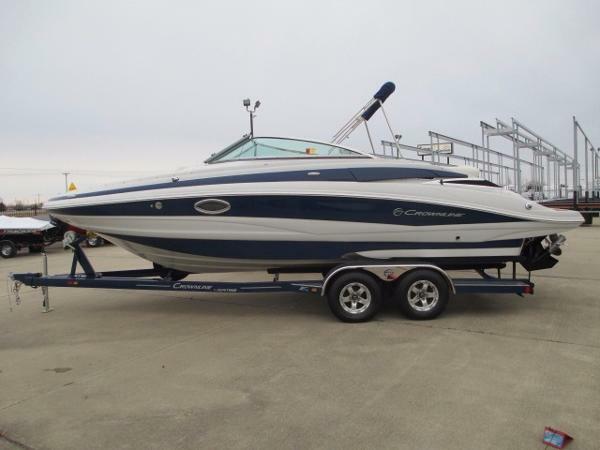 2008 Crownline 180BR, Get on the water on this clean 18' Bow Rider! Comes with 2 sets of Captain's chairs! Sit high or sit low! Have fun with your family all weekend long! Trades considered. 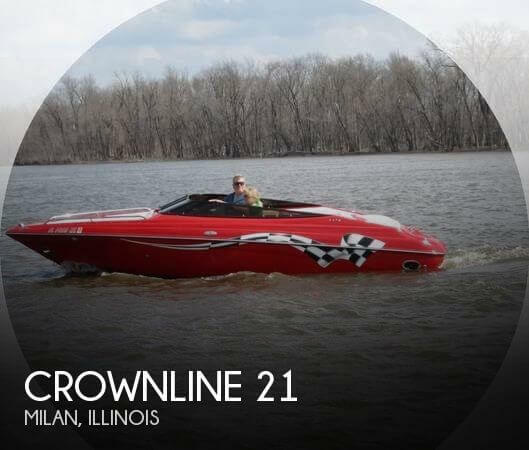 2017 Crownline E4, Crownlines Eclipse series boats are made for fun and the E4 is loaded with features to make your times on the water the best they can be. The spaciousness of the interior design of this 24' 6? 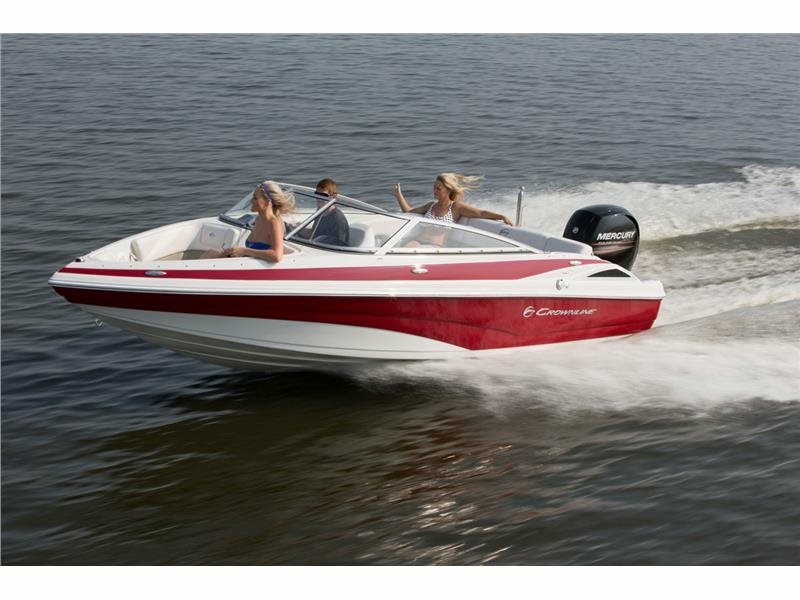 boat easily makes it one of the most comfortable and accommodating of its size in the industry, with tons of storage throughout. 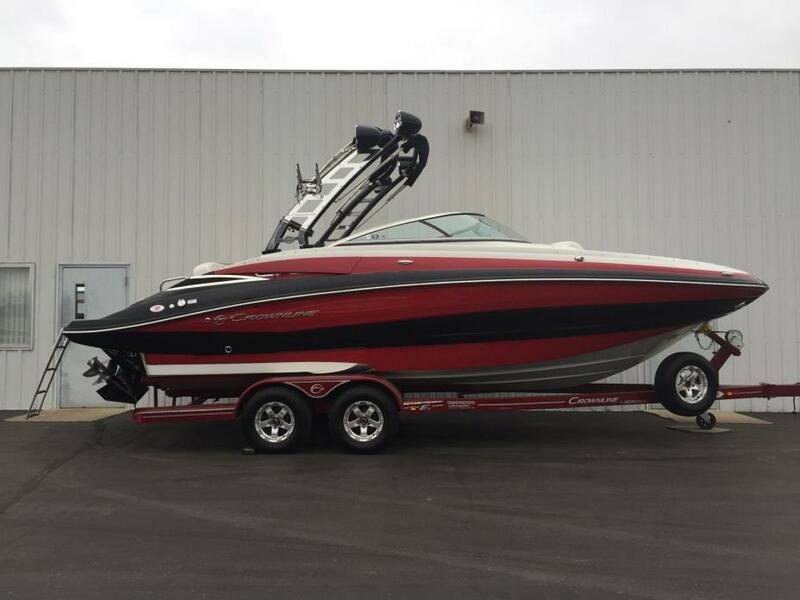 And it has the best ride in the industry, hands down!Our E4 is powered by a 6.2 Mag Bravo 3 and resting on a 2015 Heritage Trailer. 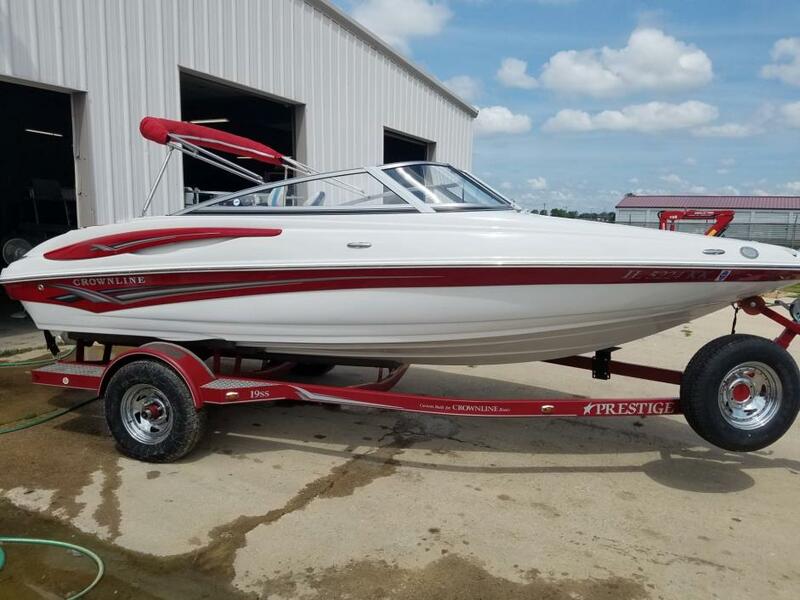 Enjoy these features on your next family lake adventure:- Snap-In Mat Rock- Lineage Gelcoat- Lineage Tri-Color Interior- GPS- Battery Charger- Head Porta Potti and Pump Out- LED Lighting Package- 4 Tower Can Speakers- SS Rub Rail Insert- Transom Trim Switch- Tube Wakeboard Tower- Swivel Wakboard Tower RackGive us a call today if you're interested in making this boat yours! 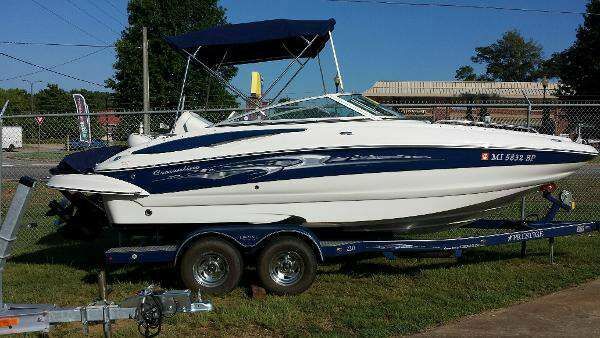 2017 Crownline E4 Very clean boat with 99 hours. Never had a problem with this boat. 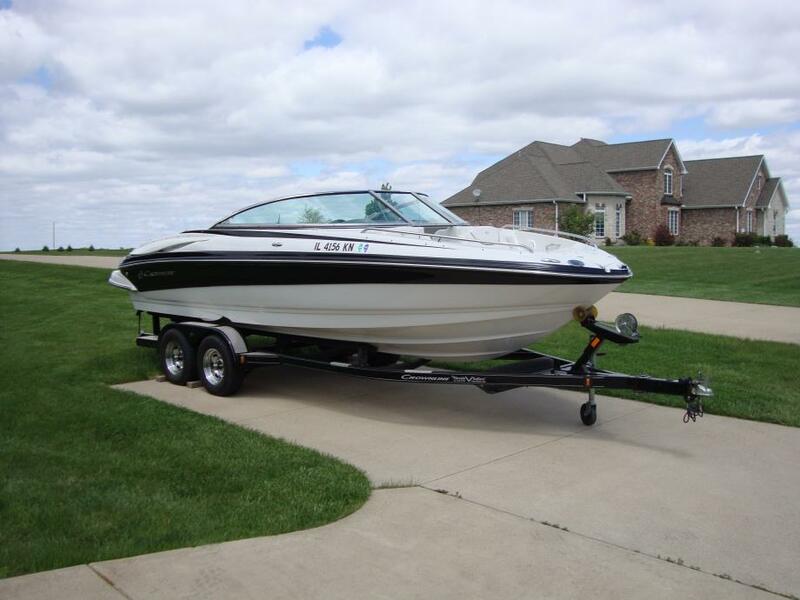 It is considered a deck boat and seats 13. Has lots of storage. Gray snap in carpet. Has a head with sink. Front and back showers. Ladders in front and back. Arch/wake/Ski tower has a Bimini attached that shades main area. Upgraded stereo with 9 speakers and subwoofer. Always stored on a trailer indoors. 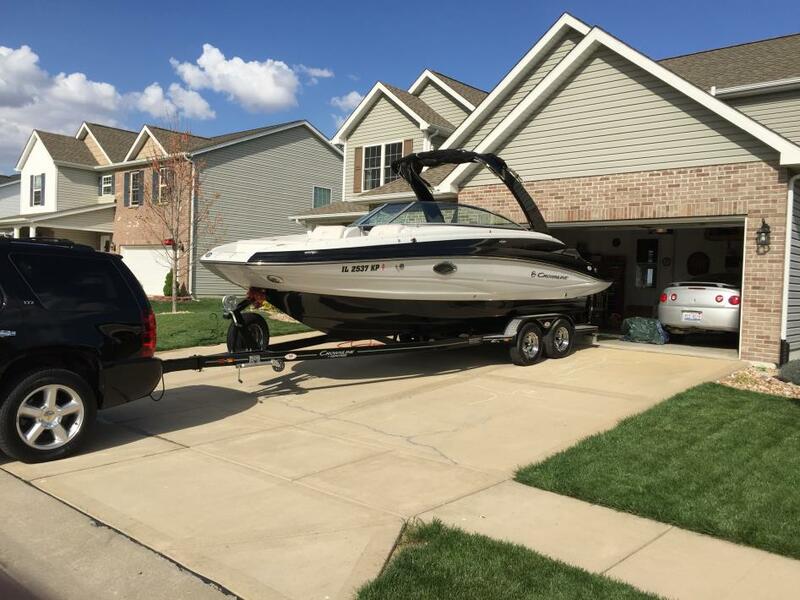 Always winterized and maintained with dealer.